Huawei P10 Vs Huawei P10 Plus: Is the Plus Worth? Support editing 4k Videos shot by phones and other devices. Save the edited 4K videos directly to the mobile device.. The much awaited Huawei P10 and the Huawei P10 Plus are here and they are surely two of the most amazing flagship devices of 2017. Well, when Huawei took the MWC to announce these two devices, many thought the P10 and the P10 Plus were just more or less the same albeit with some minor tweaks. As it turned out they aren’t the same and if you are wondering how these two phones compare, then we have done some bit of dissecting for you. Here, we do a side by side comparison of the Huawei P10 and the Huawei P10 plus to help you get to the finer details and perhaps pick the one to go for. First and foremost, let’s take a snapshot into the specs of these two phones before moving on to the meats and potatoes of this review. When it comes to the design layout, the Huawei P10 and P10 plus are more or less the same. In fact, the two feature a metal unibody much like in other Huawei phones albeit with some sleek, high-end finish. The most attractive bit of the layout is the hyper-diamond finish that provides more grip to users whilst ensuring you stay long without staining your phone. As far as the color options available are concerned, both the Huawei P10 and the Huawei P10 plus have a wide range of options available. They come in variants of Silver, Rose Gold, Black, Gold, Blue and Green. That said, the most popular ones in the market are Dazzling Blue, and Greenery courtesy of the diamond finish of both the P10 and the P10 plus. For starters, the two phones are powered by the same processor-the HiSilicon Kirin 960, which is actually very good. It might be a bit inferior to the SnapDragon 835 but it is an equal to SnapDragon 820. When it comes to the RAM and Storage, the P10 Plus clearly outperforms the P10. As a matter of fact, the P10 Plus comes in two categories: you can go for a 4GB of RAM and 64GB of storage or you can opt with 6GB of RAM and 128GB of storage. Compare this to 4GB and RAM and either 32 or 64GB of storage, in the case of Huawei P10. Well, here we can conclude that the phones are both very decent in the realm of hardware specifications but the Huawei P10 Plus is certainly the winner. The P10 Plus is visibly larger than the P10, with a 5.5-inch display size, though thinner measuring 153.5 x 74.2 x 6.98mm when compared to the 145.3 x 69.3 x 6.98m dimensions for the P10. Also, the former is a bit heavier by 10 or so grams-surely the difference is not very noticeable. It is also worth mentioning that the P10 Plus has 2,560 x 1,440-pixel resolution while the P10 has a 1,920 x 1,080 pixel resolution. The winner here has got to be the Huawei 10 plus owing to the comfort the size and dimensions deliver to the end user. 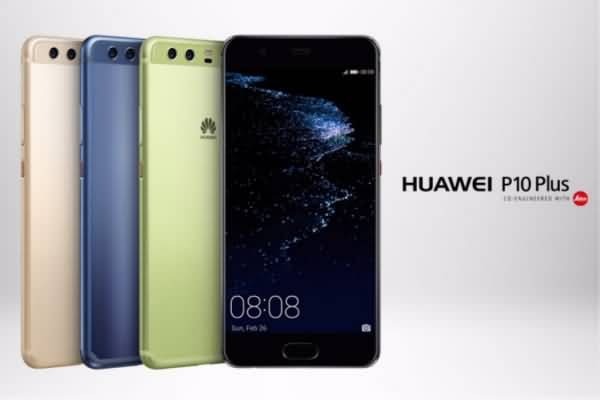 The two phones are designed to use the same charging technique i.e the Huawei’s proprietary SuperCharge technology. This means that both these phones can charge quickly with very slim chances of damaging your device. The P10 Plus comes with a battery that is rated a bit higher in 3750mAh compared to 3200mAh for the Huawei P10. But the P10 Plus features a higher resolution display, which may need more power consumption than that on the P10. If you are a camera enthusiast then you will like both the P10 and the P10 Plus 1080P/4k rear camera boasting some cool apertures. Both of these two phones feature an 8MP ‘selfie’ front camera with an aperture of f/1.9. The only difference here is that the Huawei P10 Plus fine tunes the image quality thanks to its robust front camera autofocus capability. Though they featured the same type and same megapixel Leica Summilux sensors, the P10 has f/2.2 aperture and the P10 Plus has a f/1.8 aperture. From the software perspective, the two phones are certainly an equal. They both come with Android 7.0 coupled with the EMUI 5.1. For those who have no clue what EMUI 5.1 is all about then, it is simply the latest version of Huawei UI overlay otherwise known as Emotion UI overlay. Apart from the usual UI changes in this version, Huawei has also added some machine learning into the fray. Yes, that’s right! The machine learning algorithms powering the UI of these two phones have the ability to predict your touch behavior hence boosting your interactive experience with the device. If you love adding some flavor to images and videos then the two phones come with the Quik editor thanks to the partnership between GoPro and Huawei. The editing app is integrated into the Gallery app making it pretty easy for you to fine tune those coveted videos and images before you can share them with the world. There you have, a review of two phones that promise to deliver some great experience to many users across the globe. So, which one is really worth your money? 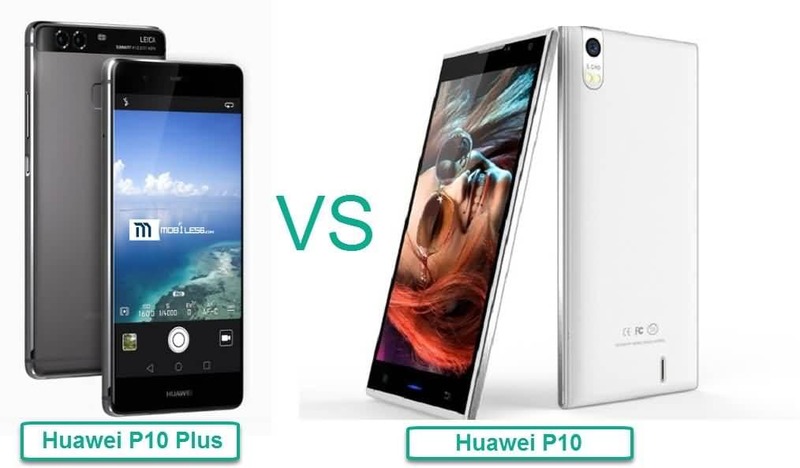 Frankly, both would work out very well depending on your tastes and preferences but in terms of performance, it is not hard to see that the Huawei P10 Plus is an enhanced version of the Huawei P10. Still, it is just a matter of which one you fancy more.